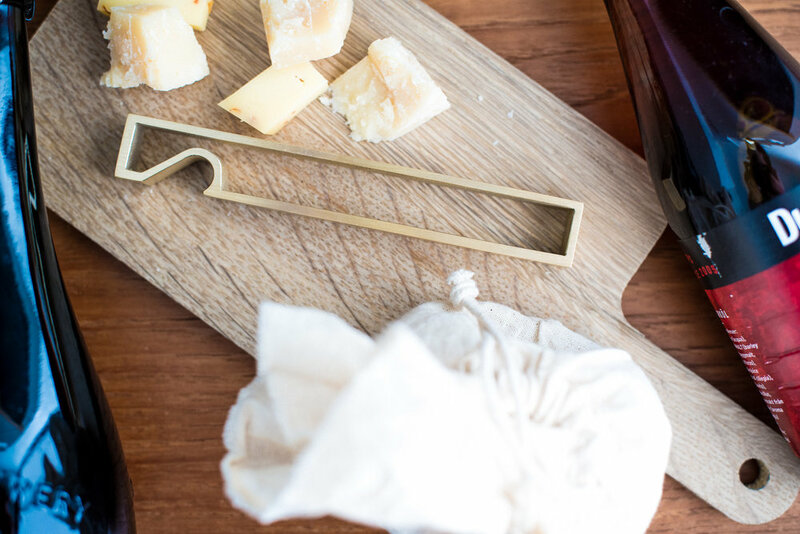 Who can say no to cheese and beer? I may have a bit of an obsession when it comes to bottle openers and most people would probably say that I own way too many. Actually, they would probably say I'm crazy, but I just like bottle openers. The thing I like is that in its core, the bottle opener is such a simple thing, but it can still be designed in so many different ways and no opener has the same feel as another. So when I find a new opener I like I just can't help myself, I need to buy it! My latest purchase was this opener that I got a couple of weeks ago while I was visiting Gothenburg. I first saw this opener online in December last year, but have waited until I could have a look at it for real before I bought it. A couple of weeks ago I finally got the chance to do so at the store Artilleriet, and I bought it immediately! Even though it was quite expensive at around 51€ (63$). 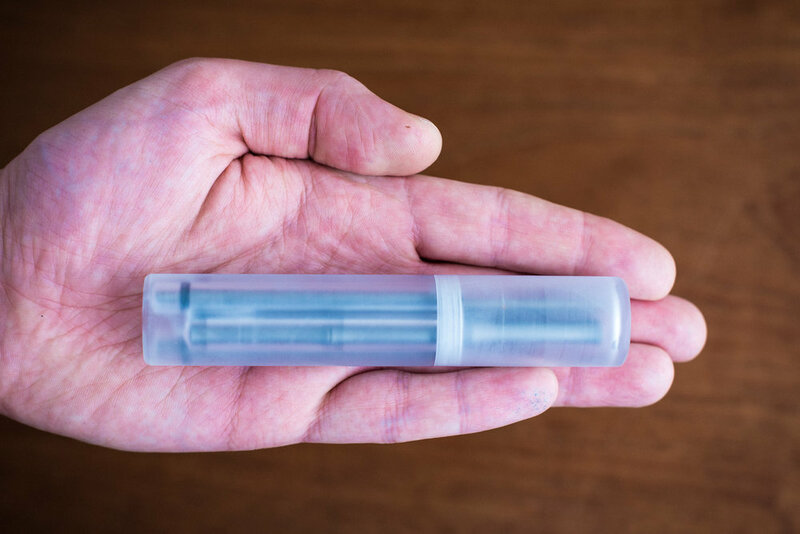 The opener is named Frame and it's made by the Japanese manufacturer Futagami. The quality of the opener is amazing and the design really speaks to me. But I do like Japanese design overall as most items have a design that really puts focus on the usability. A bit like the classic Bauhaus school of design. Do I need to say the the opener also opens bottles like a dream? As a last note, it's not strange that the quality of this opener is as good as it is, as Futagami is a company that has made brass items since 1897. The Swedish readers may know of Skultuna and Futagami is like the Japanese Skultuna. I recommend everyone to have a look at their site, because they have so many beautiful things. One of the things that I like the most about fountain pens is that I can buy nice looking ink bottles to put on my desk. 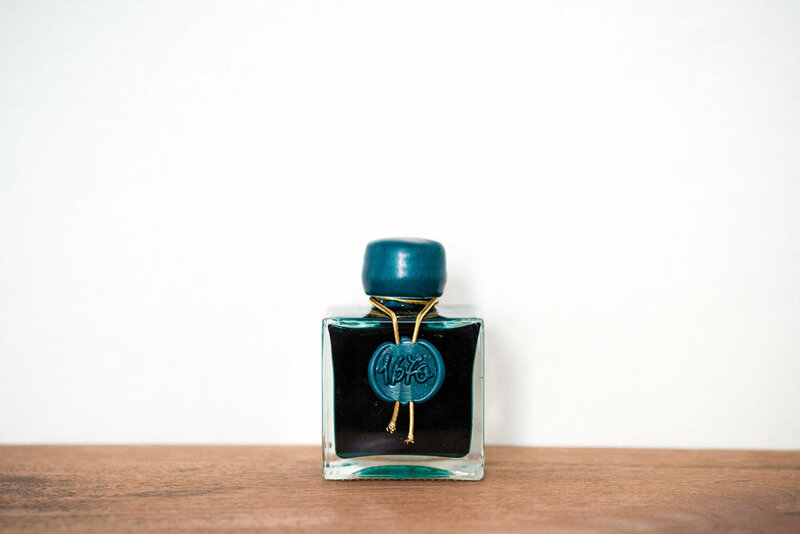 There are just so many beautiful bottles that I often buy new ink just to show them of as decoration at home. Of course I also try to find an ink I like and “need”, but the bottle design actually comes first sometimes. Just take a look at the bottles above!! What you see in the photo above is my boring flatware from the Swedish pride IKEA. They are super plain looking and I have been in the hunt for new cutlery for quite some time. I want something that stands out and not only looks nicer then the above mentioned knifes and forks, but that has been really hard to find. One trend right now is to have black cutlery but I do not like that at all, because it makes the table setting look way to dark. But then I found this amazing set and now know what I will be getting as soon as I can to replace the IKEA cutlery with. 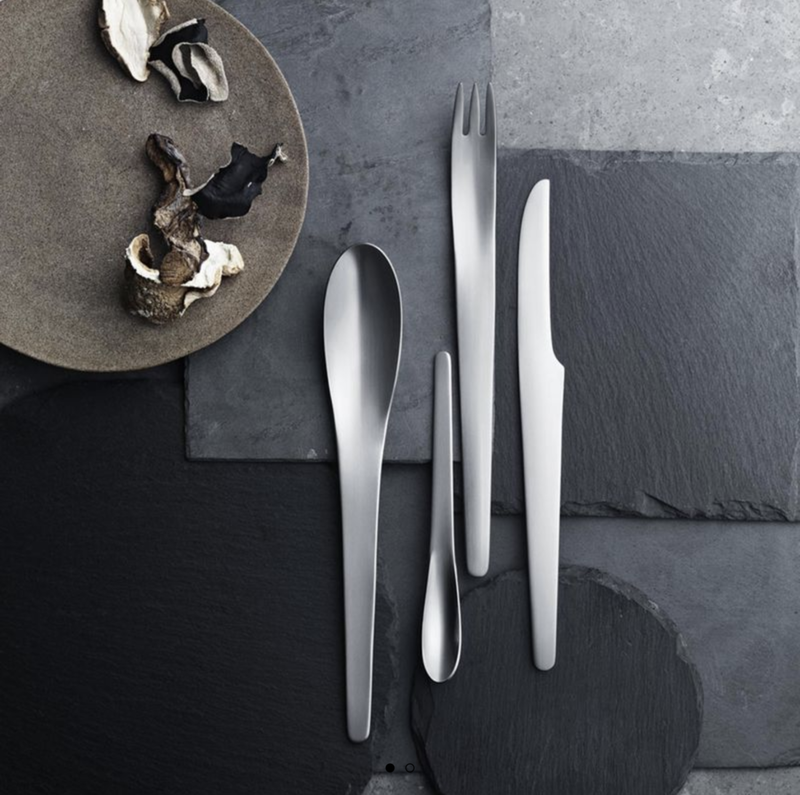 This set of flatware are from the Danish design house Georg Jensen and they are designed by the legendary designer Arne Jacobsen. I'm completely in love with the design and I wanted them as soon as I laid my eyes on them, but after some research I do not only want them, I NEED them! Even though they look a bit hard to actually eat with hehe. 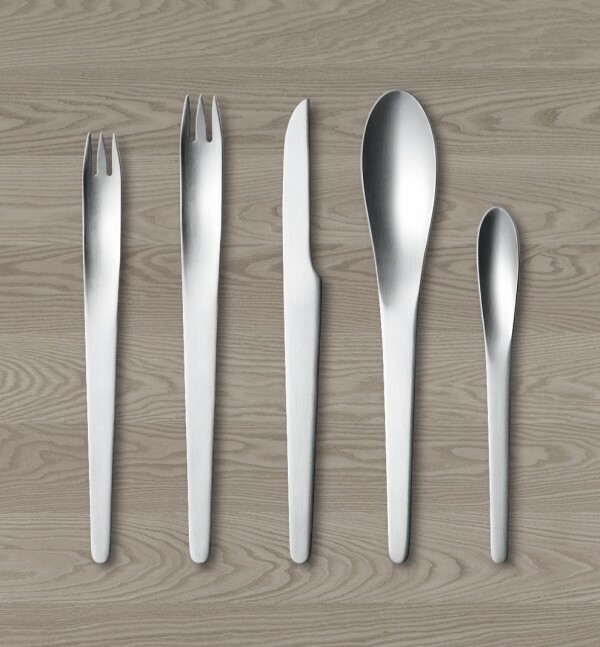 Arne Jacobsen design designed this set of flatware in 1957, and still they look very modern, almost futuristic. So futuristic in fact, that Stanley Kubrick used these as the cutlery in the film 2001: A Space Odyssey, in 1968. That is 50 years ago and they still look as cool and futuristic today. Now that is a sign of good design. Also, if that wasn't enough to make me want them, they also appeared in Star Trek Voyager AND Enterprise. So as the big Sci-Fi fan I am, I can't not buy these. Right?